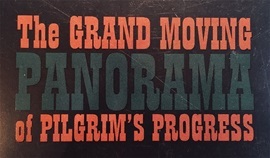 The Saco Museum in Saco, Maine, houses one of the world's few surviving large, moving panoramas from the 19th century, The Moving Panorama of Pilgrim's Progress. This is an amazing story from beginning to end. 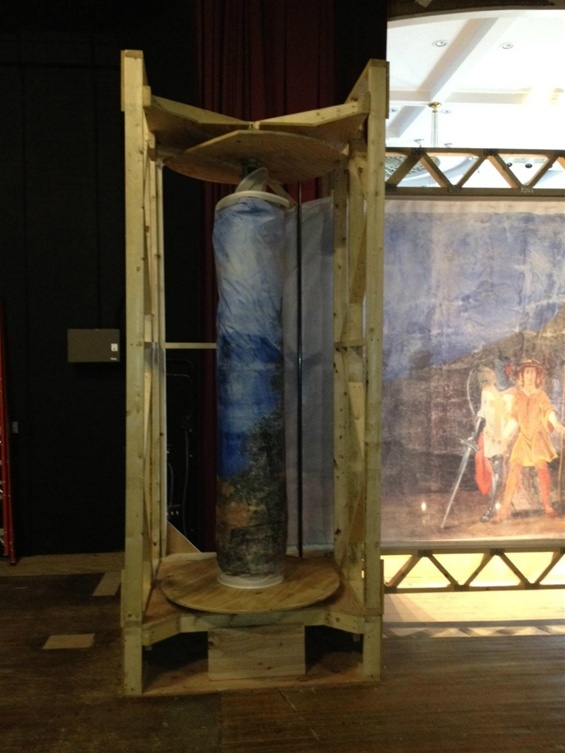 The 8' X 800' painting on muslin was rediscovered after being in storage for over 100 years. It took many hands, many years and lots of grant money to restore it. In order to perform it, a beautiful, full size photographic replica was made because the original was too fragile to crank. No cranks, the "crankist" moves the canvas along by turning the disk, a very smart idea for a spool of this size and weight. 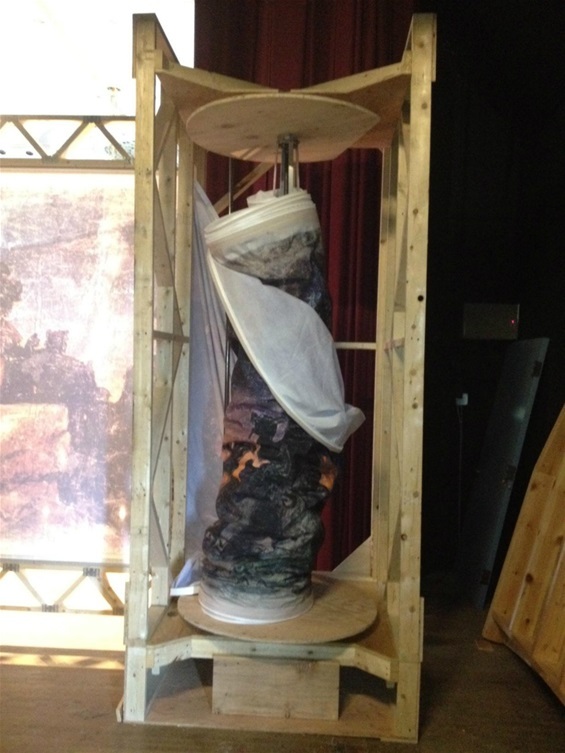 The fabric is very translucent, making it easy for the crankist to see the canvas from behind. The script is on the floor, which helps him follow along and know when to advance the canvas. 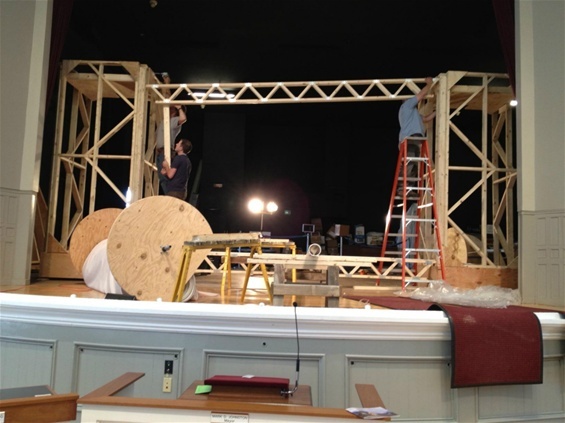 Many hands helped to design and construct the apparatus including a stage designer, architect, IT professional among others. Revisions and tweaks had to be made along the way. Gravity doing it's job and causing the canvas to slump on the spool. 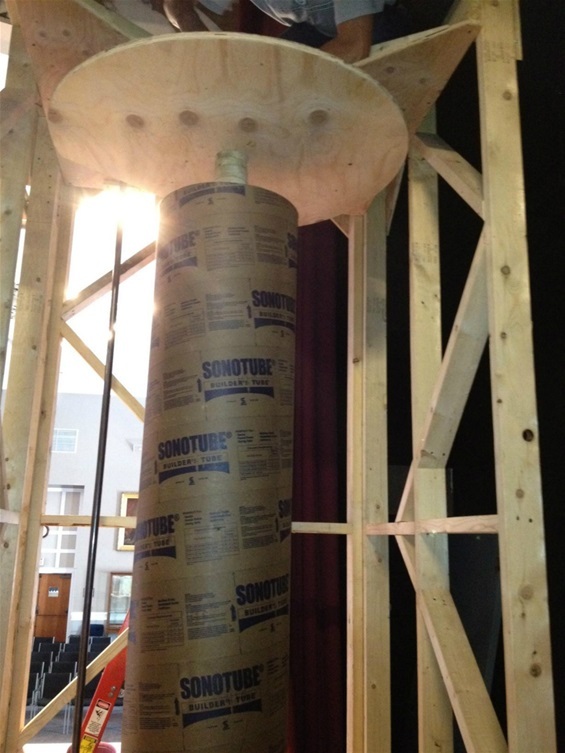 The addition of the tubular roll to the spindle, helped give the canvas more support. 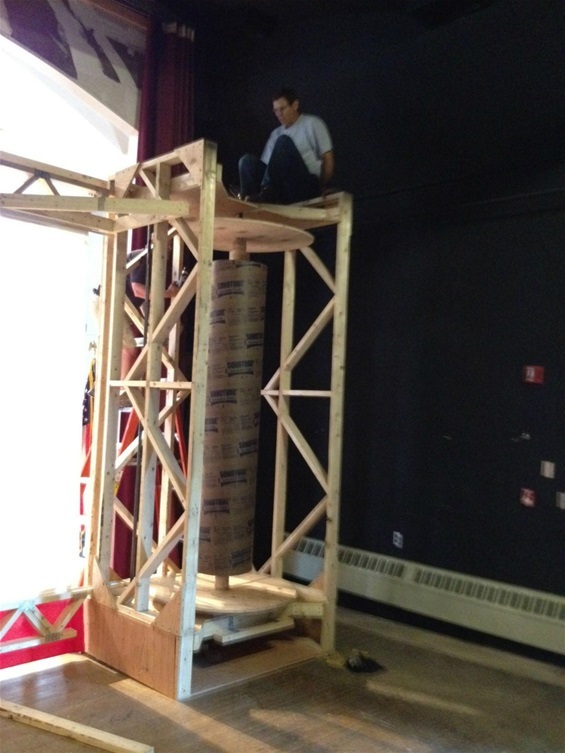 As the canvas moved across the apparatus, the top of the canvas ran through a track to keep it from slumping. There was a person near the top of each spool to make sure the fabric didn't jump the track and cause the performance to stop. I took this movie back stage in 2015. I regret not having a good camera! Never the less, it was so cool to see this group change the spools at intermission. No small feat! 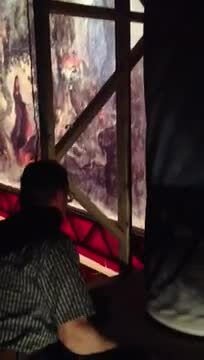 I took this video at a performance in 2015. This is a nice 7 minute summary of the history of the painting. 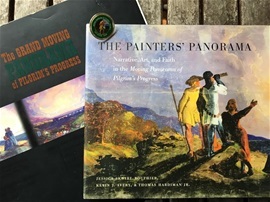 Jessica Skwire Routhier, Kevin J. Avery, Thomas Hardiman Jr., "A Painter's Panorama: Narrative, Art, and Faith in the Moving Panorama of Pilgrim's Progress 2015. 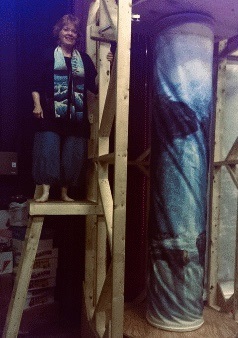 I don't like heights but I HAD to have my picture taken next to the scroll.